What happened in Tunisia over the past few days was reminiscent of scenes from Latin America, East Asia, and Eastern Europe in the 1980s and ’90s: people’s power in action. But it is another historical parallel—to Iran in 1979—that has something to teach the West as it figures out how to respond. The toppling of Tunisia’s longtime dictator, Ben Ali, recalled the last days of the Shah, when riots against poor living conditions and calls for human rights quickly turned into demands for getting rid of a dictator. The Iranian revolution did not start as an “Islamist revolution,” but rather as a genuinely anti-authoritarian uprising in which liberals, communists, independents, and Islamists all took part. For a short period, the Islamists even worked with other political forces until they consolidated their power, then turning against their erstwhile allies and destroying them violently. In Tunisia, the Islamists could try to repeat this pattern. Indeed, it would not be surprising to see them form an alliance with secular forces in the short term. This will last only until the Islamists consolidate their power, at which time they will jettison the non-Islamist elements, turning Tunisia into another Iran. And so, just like Iran in 1979, Tunisia now finds itself at a crossroads: Will it head down the path of democracy, or will there be a takeover by Islamists? In 1979, Europe and the United States missed an opportunity to stand with liberals at the time of the Shah’s overthrow, leaving them at the mercy of the Islamists. Now, the West must avoid repeating this mistake in Tunisia by clearly identifying with the liberals, and their demands for democracy and better governance. The worst thing the West could do would be to support a cosmetic change in which another authoritarian figure replaces Ben Ali and makes only small concessions to ease popular discontent—granting the people some new liberties, while maintaining the authoritarian structures of the state. Such a move would signal to the Tunisian people that the West is not actually interested in promoting democracy in Tunisia, and would likely set the stage for the Islamists and their international sponsors to emerge as the strongest opposition. 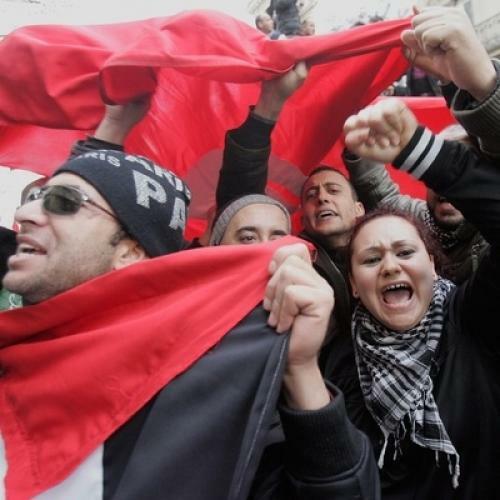 In the end, Tunisia would likely fall to the Islamists, another form of authoritarianism. Some in the West have long argued that because of the lack of a viable liberal alternative, supporting authoritarian regimes in Arab countries is the only political choice against the Islamists. Now, in Tunisia, as people flood into the streets demanding democracy, we see that this is not the case. It was not the case in Iran in 1979 either, but the West was so invested in the Shah that it failed to strongly back the liberal opposition. We don’t have to repeat that error today. Khairi Abaza is a senior fellow at the Foundation for the Defense of Democracies.